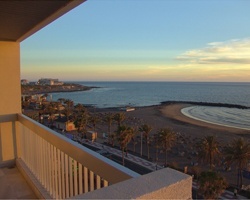 Tenerife, largest of the Canary Islands, is situated 200 miles off the west coast of North West Africa! Mount Teide, the extinct volcano which dominates the centre of the island stands at 12,200 feet high - and is the highest point in Spain. Its peak can be seen from all of the other Canary Islands. The island is full of natural contrasts, the south being totally different, both visually and climatically, to the North. There are vast areas of stunning natural scenery and a tour of Mount Teide quickly reveals why this particular area was chosen as the backdrop to scenes in famous films such as Star Wars, Planet of the Apes and the Ten Commandments. Volcanic cones are distributed randomly over the whole island's surface and contribute to the amazing landscape! 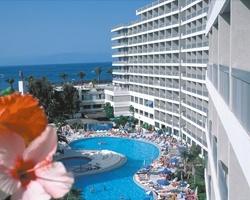 Week 26 at this lovely Tenerife resort! RTU until 2103! 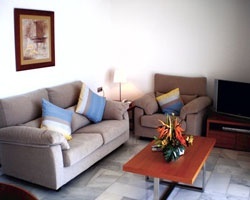 Fantastic resort located in front of the main beach in Playa de las Americas! RTU until 2036! Make an offer today! 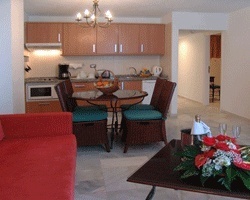 Beautiful resort in the center of town! Annual week 42 usage! RTU in perpetuity! Buyer may receive a title fee credit, inquire for details!